Only slightly off the beaten path of Highway 46 in the Adelaida district of Paso Robles is a quaint little family operation, Alta Colina. Here, upon a hilltop, the Tillman family has set up shop on their 130 acre ranch, 31 of which are planted to 15 blocks of vineyard. They have a unique plot of land, with sturdier soils (containing a high percentage of fractured shale amongst the loam) than even some of their closest neighboring vineyards. And being just out of reach of the cool, foggy air of the Templeton Gap, the vines are blessed with a moderately warm climate that can, in the summer, get down right hot. 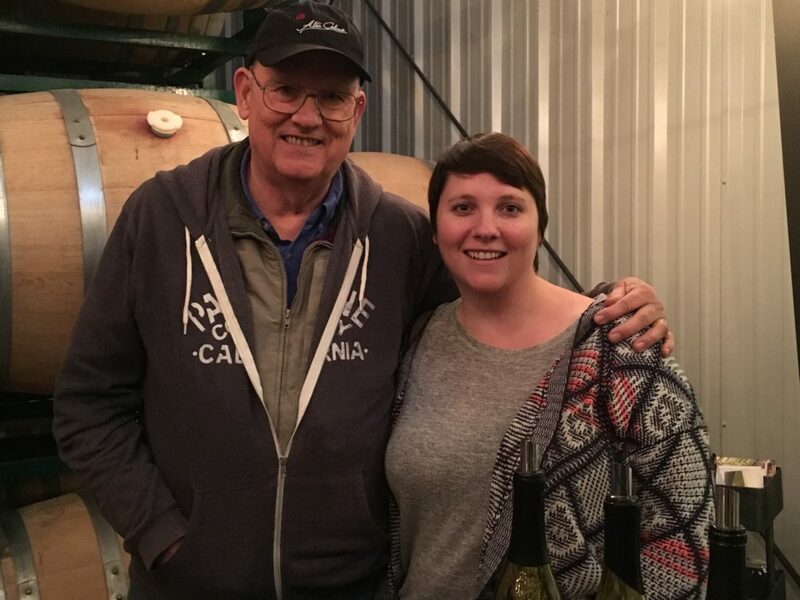 A visit to Alta Colina means socializing with father-daughter team, Bob and Maggie Tillman — an opportunity you don’t want to miss. Even if simply tasting through the available wines in the tasting room, you’ll be sure to get a full tour of the vineyards via illustrated maps. The Tillmans pride themselves on their all estate-grown wines, and they have their hands in every part of the process — they know their grapes from rootstock to bottle. 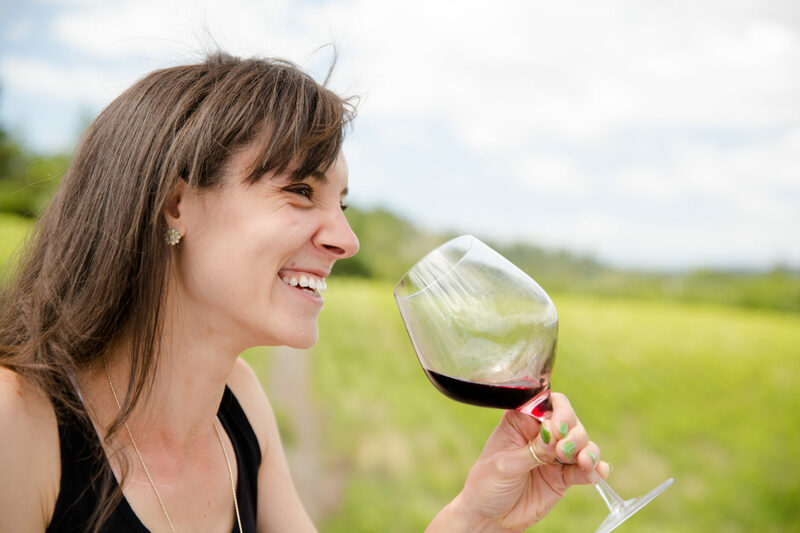 So tasting at Alta Colina isn’t just about the menu, it’s a welcome opportunity to learn about what goes in to a boutique winemaking business. The Tillmans certainly don’t screw it up in the winery. They do the Paso Robles region, most noted for its Rhone varietals, quite proud. Remember, Alta Colina is a small-lot producer (just shy of 2,000 cases annually), so tastings will be based on what’s available. You’ll be sure to taste their Claudia Cuvee Marsanne (blended with a bit of Rousanne), named for Bob’s mother. And, as Maggie will point out, you can’t call yourself a Rhone producer without having a GSM on the menu. 2014 12 O’Clock High Viognier: “I wish people understood how hard it is to make Viognier,” says Maggie. Indeed, anyone who knows about this grape’s viticulture knows that it can be more temperamental than even the over-popularized Pinot Noir. Naturally low yielding, Viognier require warmer temperatures and a perfect harvest time: picked too early or too late, the grape will not yield its signature bouquet of aromas and flavors. However these same aromatics are drastically affected by oxygen, which makes any barrel fermentation quite a challenging process. Well the Tillmans have Viognier down to a science. A recent tasting of their 2014 vintage (blended with 10% Rousanne) gave off a beautiful nose of kumquats and white flowers. The palate is a firm and structured one, yet the flavors light and lively with lavender and honeysuckle, and the overall mouthfeel soft and supple. 2013 Sun Worship Red Blend: While technically a GSM blend, the exact components make it more of a MGS (with 54% Mourvedre, 27% Grenache, 19% Syrah). It’s dark, earthy, muddy, and farm-funky on the nose with a thick line of acid running all the way through. But take a sip and discover that this wine is more delicate than your eyes or nose gave it credit for. The palate is plush, round, the liquid stays smooth on the tongue. Background flavors complement — uplift — the primary black fruit flavors, with hints of cologne and tobacco. It’s a fine cigar in a glass. INSIDE INFO: Don’t settle for a tasting room appointment if you can help it. Alta Colina also offers barrel room experiences and vineyard tours, where you and your group can get a more in-depth look at the wines and the family behind them. And — come warmer weather — they’ll also host on-ground trailer camping. Camping in a vineyard? Yes, please! Thank you to Bob and Maggie Tillman who hosted me through the vineyards and through their wines. I’m saving that bottle of Mourvedre for something special! For more information about Alta Colina, the Tillman family, and to schedule your visit to the winery please visit the Alta Colina website. Bob and Maggie are wonderful people! Their new tasting room is outrageous, isn’t it? We use to visit them when they were upstairs in a small spot down the road. Great to see them doing so well! Absolutely enjoy this piece. I personally have met Maggie and Bob and I truly enjoy everything they produce. My first ever trip to Paso and the first tasting was at Alta Colina. That marsanne is incredible.